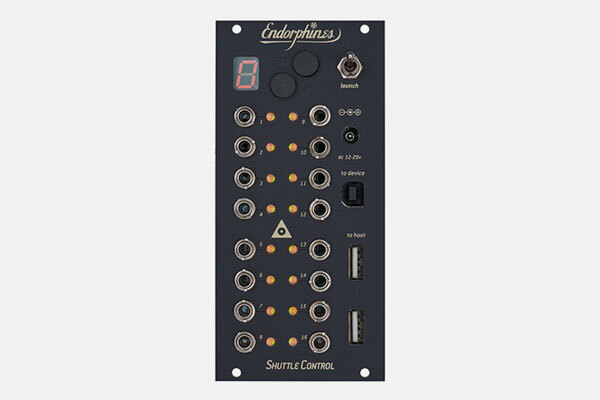 Shuttle Control ist a freely configurable converter from USB-MIDI to CV/gate/clock with16 outputs. Use the USB sockets to connect a USB keyboard and the "to device" micro USB connector to hook up a tablet or PC/Mac with controller software which doesn't have to be capable of MIDI. Furthermore it can be used as power supply and distribution and internal MIDI/CV-bus for a small modular system.